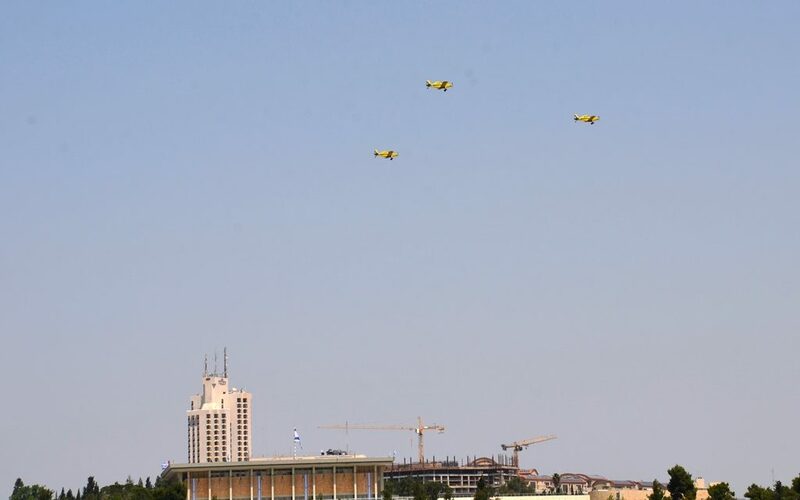 Yom Ha’atzmaut, Israel Independence Day, is usually one big celebration from nightfall to nightfall. Since most people are not working, families and friends plan to get together. It is like one giant Sunday to make up for a year of no Sunday vacation days. The coals from tens of thousands of grills have gone cold. Those big plastic hammers are put away and kids are back in school. But this year with Israel 70 events, the celebrating keeps going. The Menachem Begin Heritage Center in Jerusalem, Israel, hosted an evening in honor of Israel 70. After food (of course, this is Israel), and the Prime Minister speaking, there was a panel with three ambassadors. There were remarks by US Ambassador David Friedman, on the good ol’ days in Israel, way before cell phones, which got me thinking about doing another Israel 70 post. I walked home from the Begin Center past Ester lit up and looking like a giant space pod in the Hansen House garden. 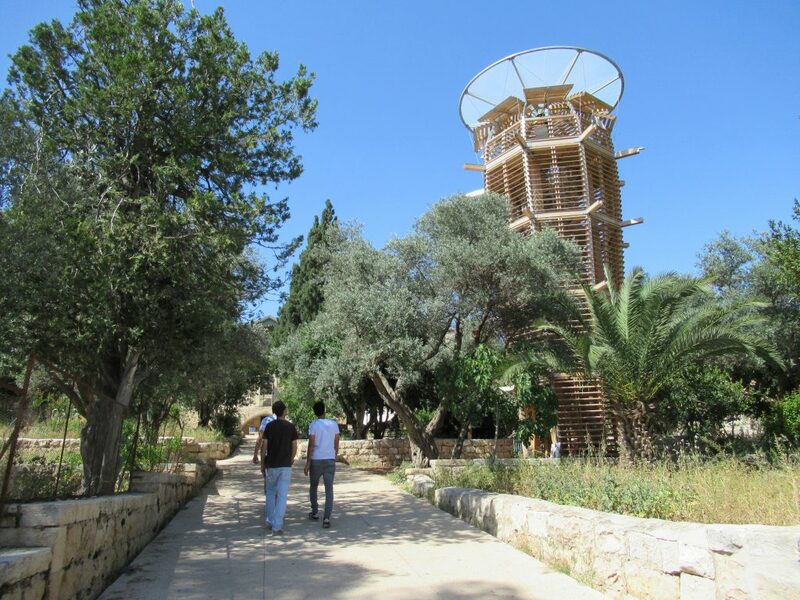 By day Ester, built in honor of Israel 70, looks like a giant popsicle stick structure. 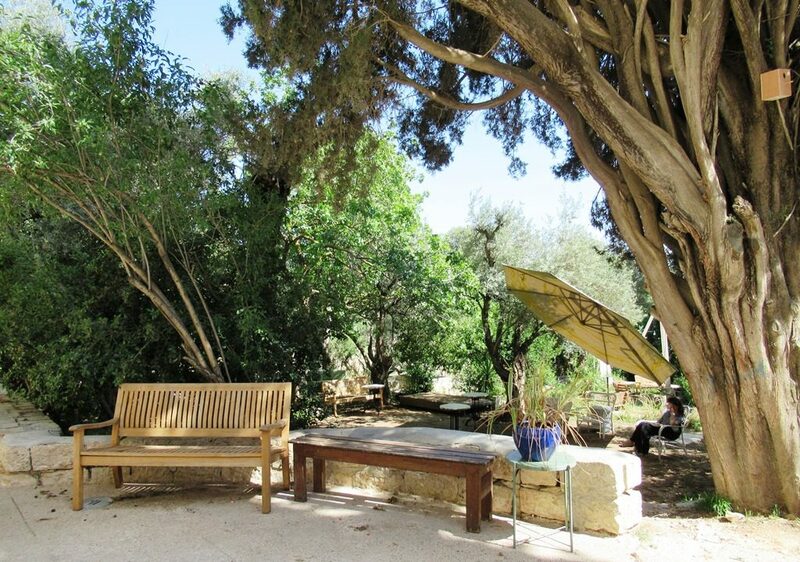 Hansen gardens, where in the past the most ill of Jerusalem would sit in the sun, are attracting new visitors to spend time to sit and read. 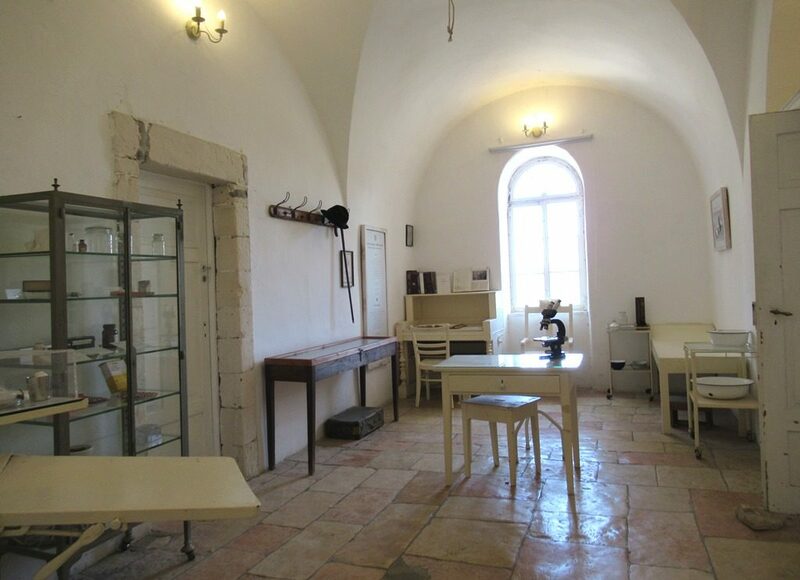 In this infirmary, the leper patients were treated. On display is what could be the first Uber. 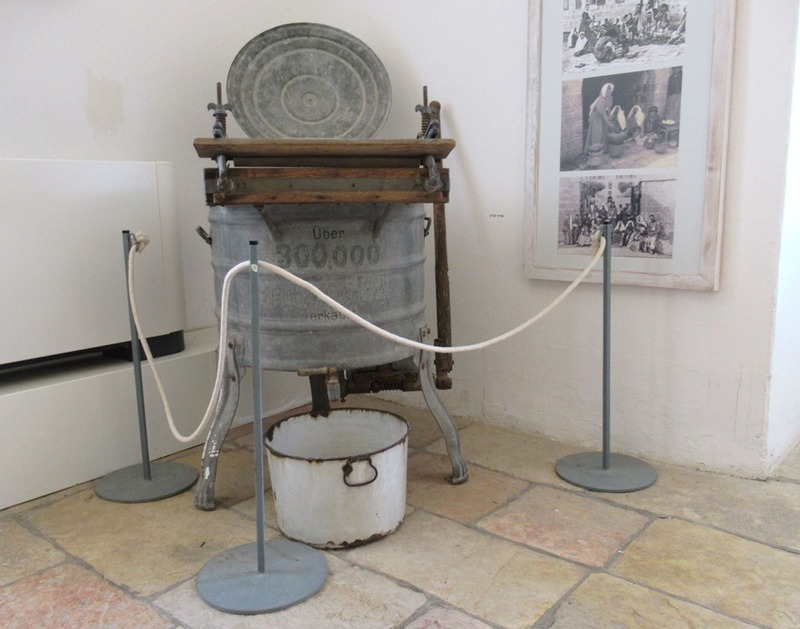 To think this was an upscale washing machine not so many years ago, and some of us complain about small size or long cycles of Israel modern machines. But those are two show rooms to remind us of what was. Now there are tech events held in the building. 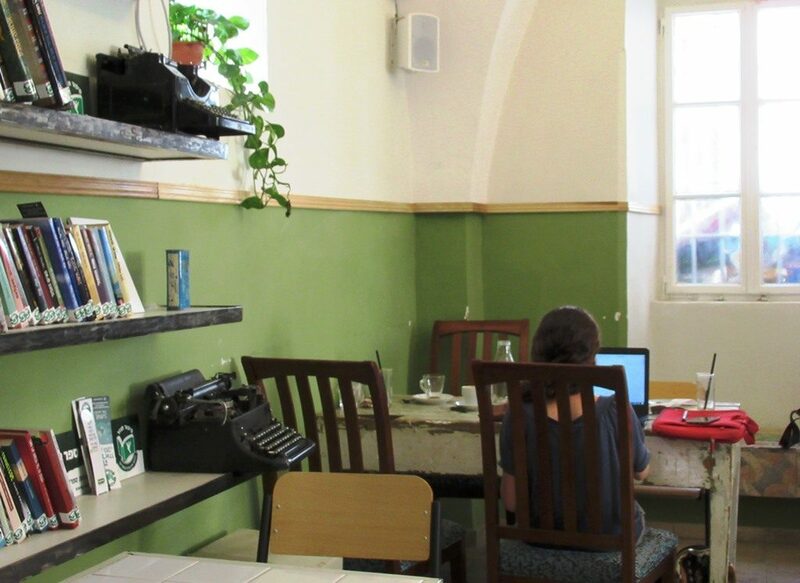 There is a cafe where old typewriters are on display, while people sit and work on their laptops. There is a store with health foods and organic vegetables, and cheese in a refrigerated glass display case. When Hansen Hospital opened it was a show-piece of modernity. It bragged of a foot bridge from the second floor rooms to the large outhouses. Some people do not listen to music this time of year, but I had to do a very quick video. Today in Hansen House, push a button and there is a music option in the new modern loo. 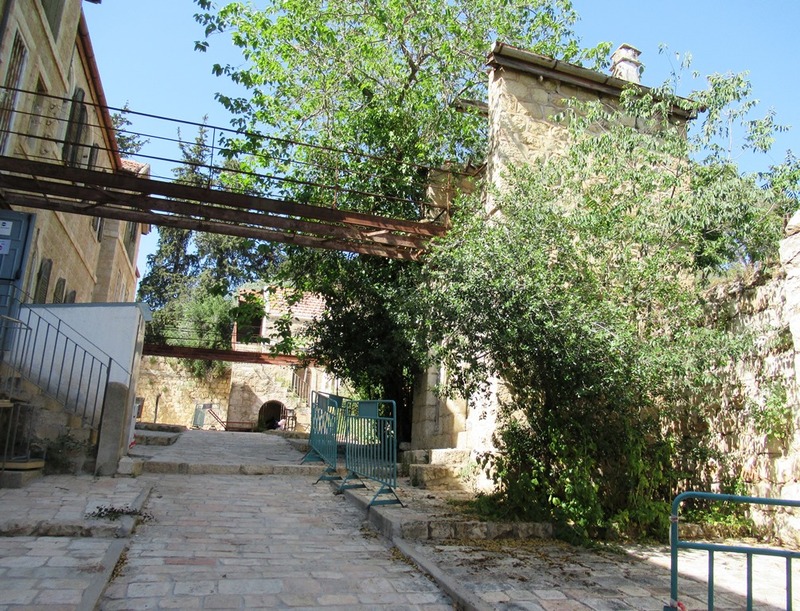 Hansen House is but one example of change in Israel over the last 70 years. Go to Modi’in. See what has been built in the middle of nowhere. 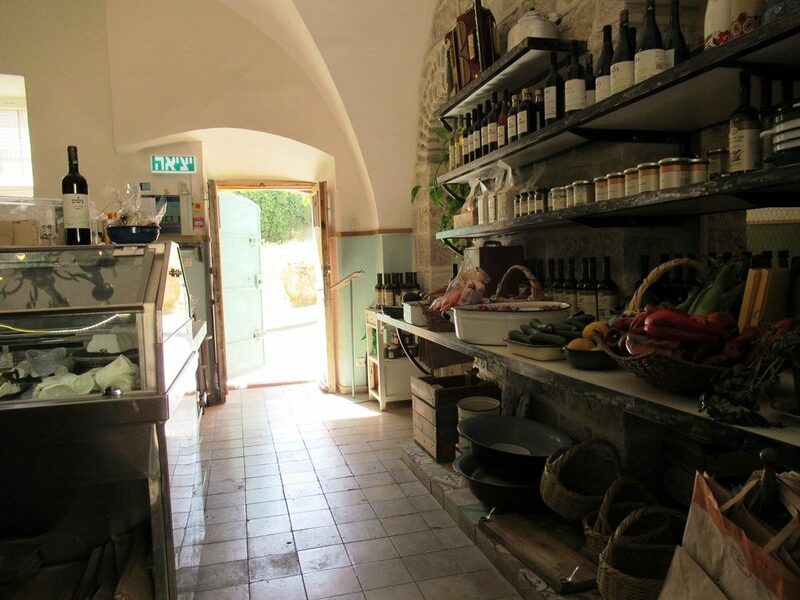 This location selected because it was between Tel Aviv and Jerusalem, was barren except for dirt and rocks 35 years ago. 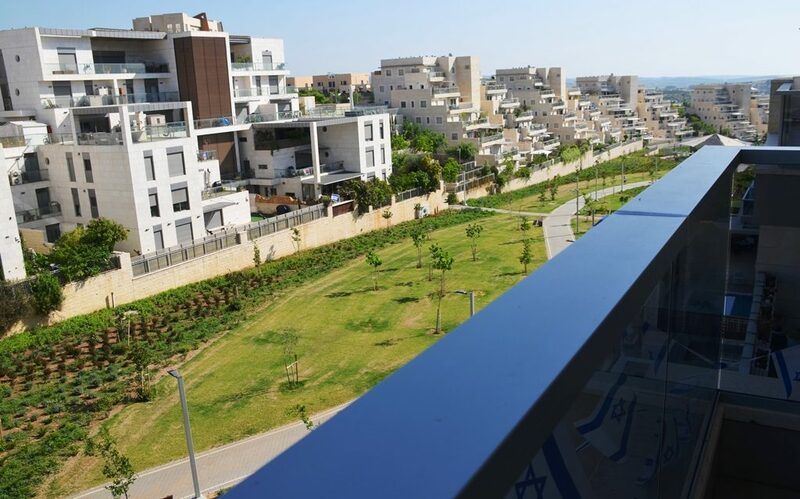 Where will Israel be like in 70 years? Who would have ever imagined what has been developed and accomplished in the past 70 years? Israel will be very different in 70 years, but not in the way you mean. 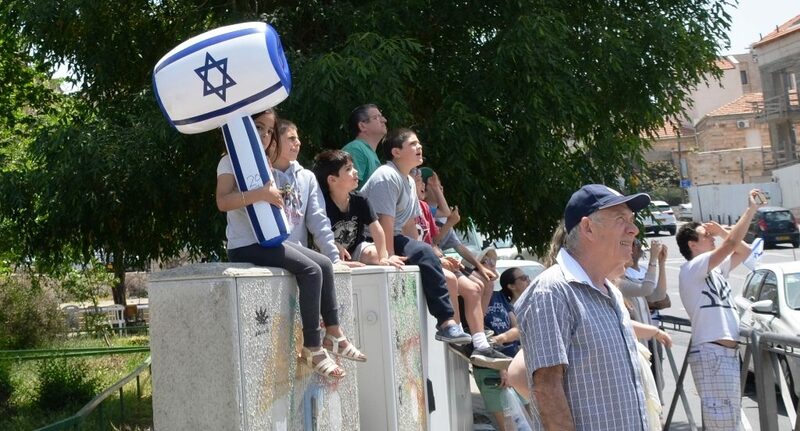 By then, Maschiach will have come, and Israel and the world, will be a very different place. This post is included in my very latest blog roundup Blog Round-Up, Lots to Read.